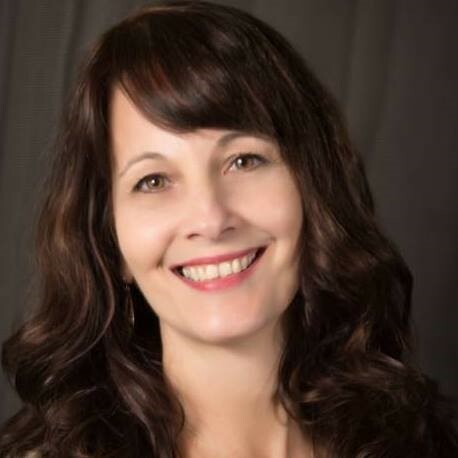 Denise Shick is the Executive Director of Living Stones Minstries She is the author of My Daddy’s Secret, When Hope Seems Lost, Understanding Gender Confusion—A Faith Based Perspective and other publications. Denise is also the Founder and Executive Director of Help 4 Families, a Christian ministry that compassionately reaches out to family members and brings understanding of the emotional and spiritual issues that they face when a loved one is gender confused. She has published articles in The Federalist, American Thinker, The Daily Signal, and BarbWire. She serves on the testimonial council with the International Children’s Right Institute and on several other ministry boards. In addition, Denise is an experienced conference speaker and has been interviewed on many Christian radio and television programs. She has led church-based support group for people with sexual addictions. She served as administrator of family-related issues with Transgender Fellowship, and Denise served as a program aid. She also has seven years experience with a Christian pregnancy center in the roles of administrative assistant, volunteer counselor, and later in implementing an abstinence program as the program director. Denise is an ordained minister and has holds an AS degree in Psychology and a BS in Community and Human Services. She is married and is a mother and grandmother. Carol Wagstaff is the Founder of Living Stones Ministries, a ministry for families with issues of homosexuality. Carol served as Executive Director for 20 years. In December of 1996, she resigned her position on the pastoral team of First Church of the Nazarene, Pasadena, California, (a 3,000 member church) to begin this unique ministry. While on the pastoral staff, she developed a presentation on the New Age Movement, which she presented across the United States in various workshops and conferences. While in Women’s Ministries, she developed a series entitled “Called to Be Free” for women with issues of abuse and co-dependency. Her most recent work is a booklet entitled “Homosexuality: A Path to Understanding.” A teacher of adult Sunday School classes and Bible studies for many years, she enjoys speaking to various groups as her time permits. A native Ohioan, Carol graduated from Olivet Nazarene University in Kankakee, Illinois, with a B.A. degree in English and Speech. Included in her honors at graduation were “Outstanding Citizenship Award”, as well as “Who’s Who in American Colleges and Universities.” She completed her Master's Degree in Faith and Culture through Trinity Law and Graduate School in Santa Ana, CA. Carol is a certified bereavement facilitator, an ordained minister in the Church of the Nazarene, and has taken coaching training through Transformational Leadership Coaching. Carol spent four years in public school teaching and holds a life teaching credential from the State of Missouri. In addition to her twenty years in the ministry, Carol’s other work experiences include: owner/developer of a Christian bookstore, advertising writer, co-developer of a healthcare corporation, administrator of a counseling center and a private investigator. Carol is a mother and grandmother and enjoys reading, and writing. In addition, she holds a private pilot’s license and enjoys flying whenever possible.